Sparta is a beautiful town in one of the most picturesque settings in NJ with lovely neighborhoods and great schools. It’s also an affluent town filled with business professionals, sales and office workers, and managers. Many people telecommute or operate businesses from home. Sparta is home to 11 lakefront communities, the largest being beautiful Lake Mohawk. Well known for its boardwalk, Lake Mohawk is the largest private lake in New Jersey. The boardwalk, Clubhouse and nearby plaza are listed on the National Register of Historic places. Sparta boasts a unique history, especially in the development of Lake Mohawk and the homes around the lake. The historic Clubhouse on the north end of the lake is listed on the national and state registers of historic places and is known for its unique architecture. The architectural style, referred to as the “Lake Mohawk Tudor” is actually a blend of styles with many interesting architectural elements. There has been some concern by millennials moving out of New Jersey towns in favor of locations with jobs, entertainment, housing, and all the amenities in a more urbanized setting. The Sparta area maintains an abundance of great restaurants, cafes, pubs, and local eateries, along with some highly rated Bed & Breakfasts. Things to do include many events on Lake Mohawk and its popular boardwalk, local festivals, community activities, a water park, golf, hiking trails, and a host of great things to do throughout Sussex County. And Sparta is only an hour away from New York City. With this in mind, we think it is a great place for millennials to set their plans for the future. 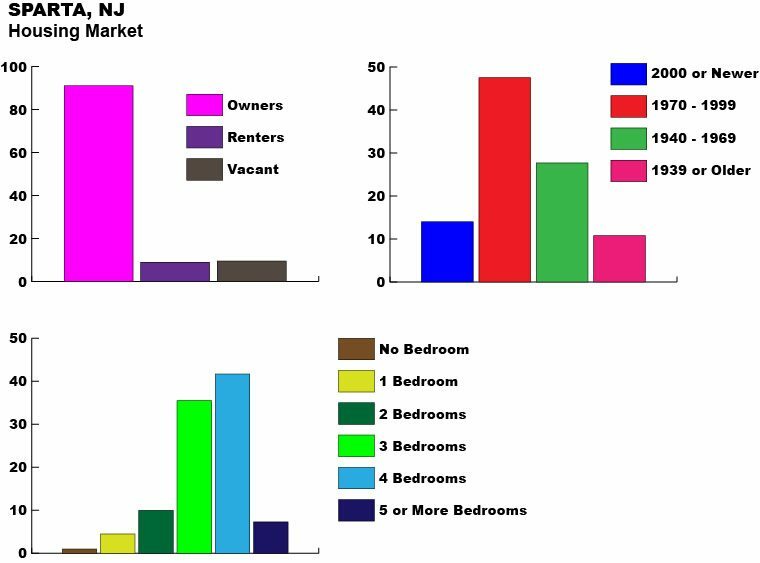 Demographics are an important aspect in understanding Sparta, NJ and its future. Statistics related to population, employment, education, crime rate, and home values help determine potential returns on property investments. This data benefits residents and potential newcomers by giving a snapshot view of why Sparta really is a wonderful place to ‘put down roots’ or sink additional monies into expanding and remodeling a current home. 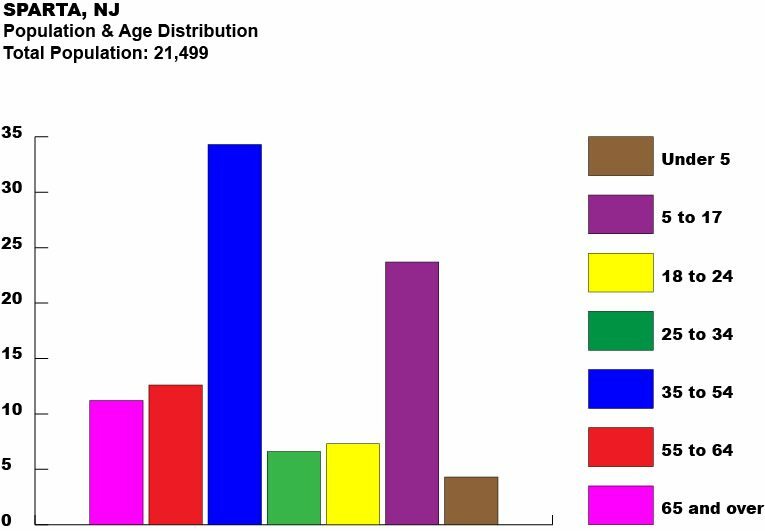 By looking at the age distribution in Sparta, NJ we can see that most of its residents are families. The largest sets of the population are adults between the ages of 35 to 54 and children between the ages of 5 to 17 years. This is significant to the ideals of the community and the education available. Sparta ranked in the top 100 in New Jersey Family magazine’s listing of Best Towns for Families. Sparta High School continues to be named in New Jersey Monthly’s list of Top 100 Public High Schools in NJ. 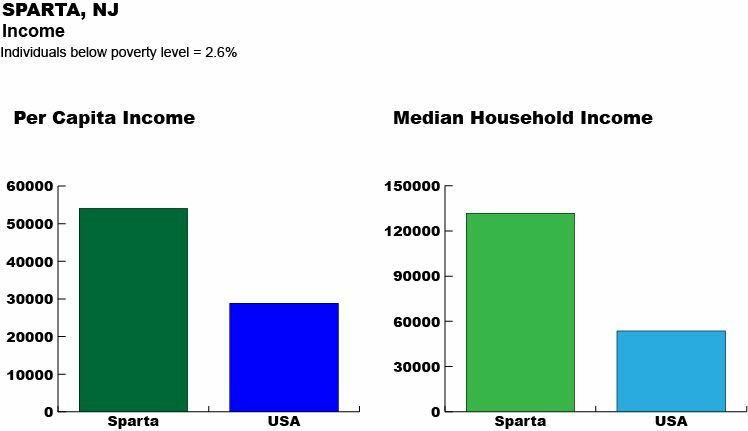 The median household income in Sparta, NJ is higher than the national average. This data imparts a community of affluent influences committed to living in a safe, clean and well-maintained environment. 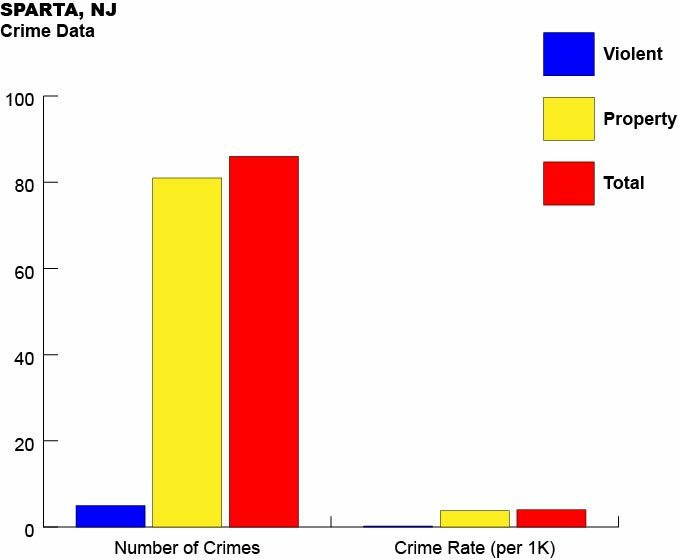 Sparta, NJ is considered 94% safer than other U.S. cities, as reported in the census, with an average of 86 total crimes a year. Clearly, it’s one of the safest communities in the country. The chances of becoming a victim are 1 in 4,300 versus the state of New Jersey’s average of 1 in 392. Only an hour away from New York City by train, Sparta, NJ is an affluent town filled with business professionals, sales and office workers, and managers. Many people telecommute or operate businesses from home. A high percentage of Sparta professionals work in the math and computer technology arena. 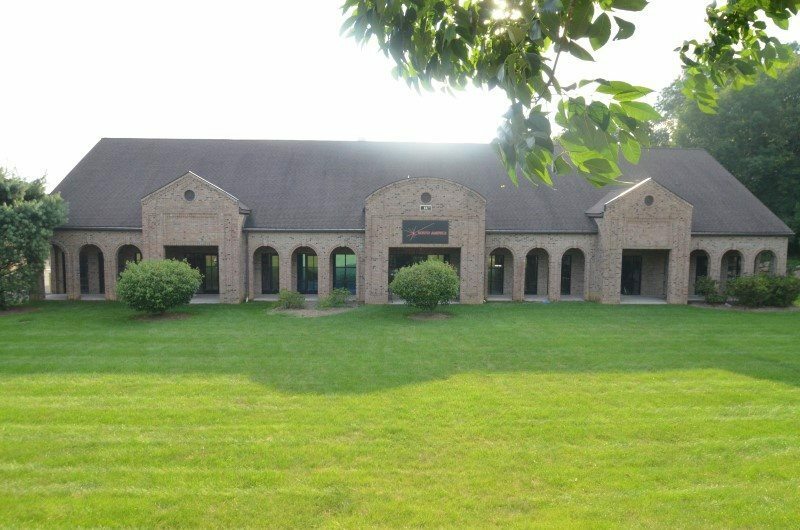 Sparta is experiencing growth in a variety of employment sectors including medical, health and fitness, education, investment management and financial advising. Employment industry demographics offer a glimpse of the type of businesses in the community and potential employment opportunities in Sparta. There’s quite a bit of commercial construction going on all over the area. Investing in a home where the population has seen development within its employment industries is always considered a sound investment in your future. 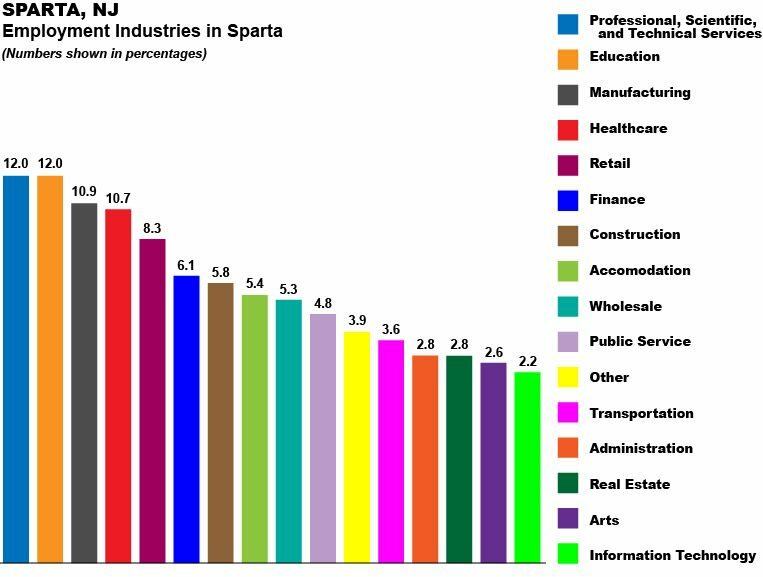 Most people in Sparta, NJ own their home and are committed to staying in this affluent area. A large percentage of homes in the Sparta area have 3 to 4 bedrooms. 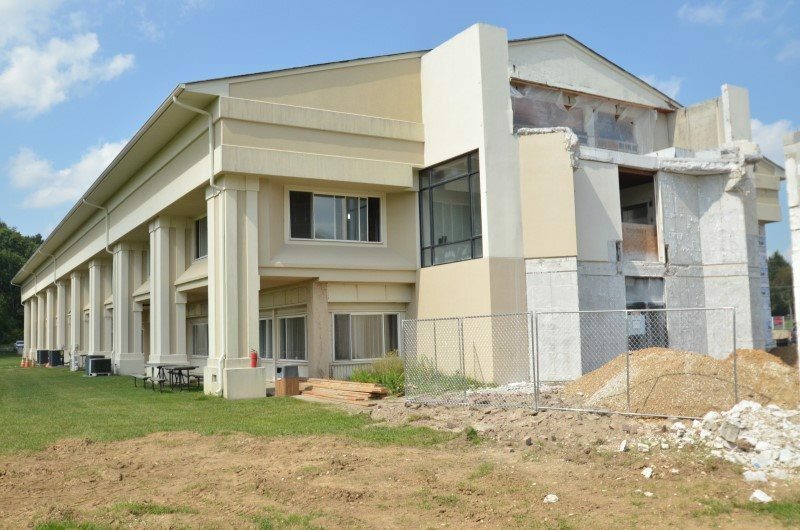 Many were built 40+ years ago and often need remodeling and renovation to support the requirements of today’s families. Average home values in Sparta are high, but not as high as many of the more expensive areas of the state. There are some lovely townhouse communities and affordable homes in the area. 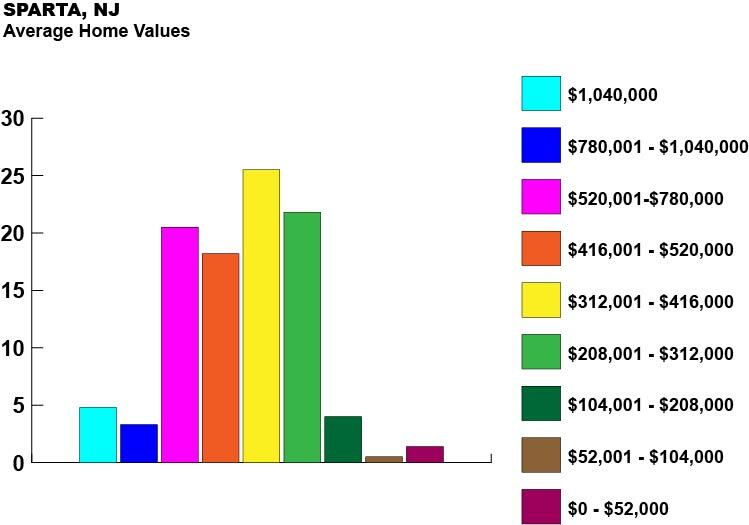 The average home value demographics signify that, in Sparta, homeowners can greatly boost the value of their home with features that appeal to a larger audience of people. When buying, building, or renovating a home it is important to dig deep into information about the town in which you will reside. Understanding the population, employment, crime and housing market demographics helps to make informed decisions about your investment and future. Sparta really is a great place to live. 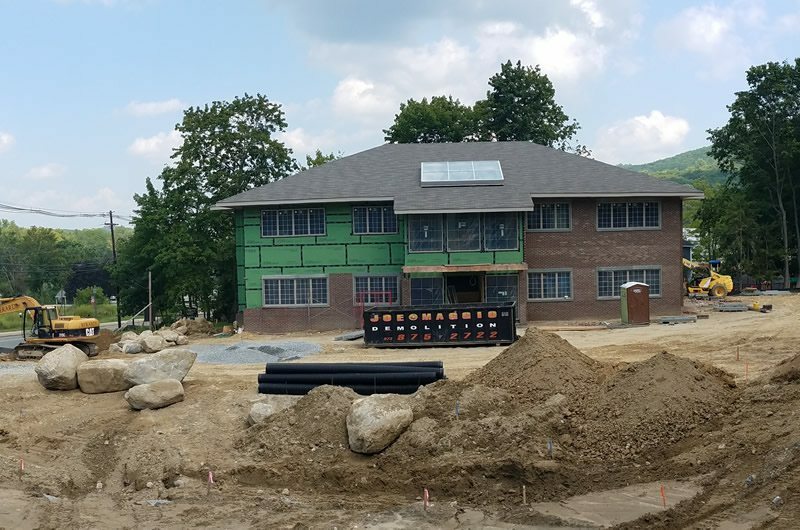 For more information about building or renovating your home in Sparta, NJ. contact Berardi Building Company.